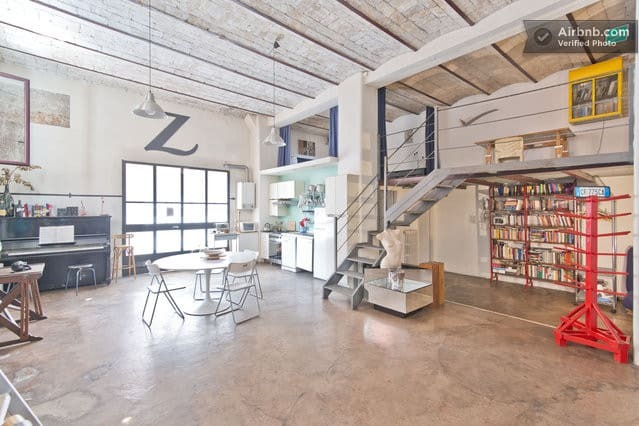 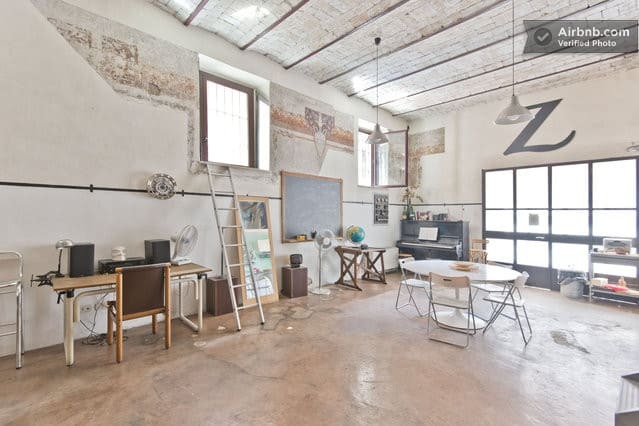 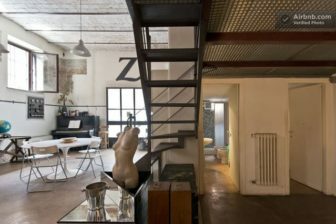 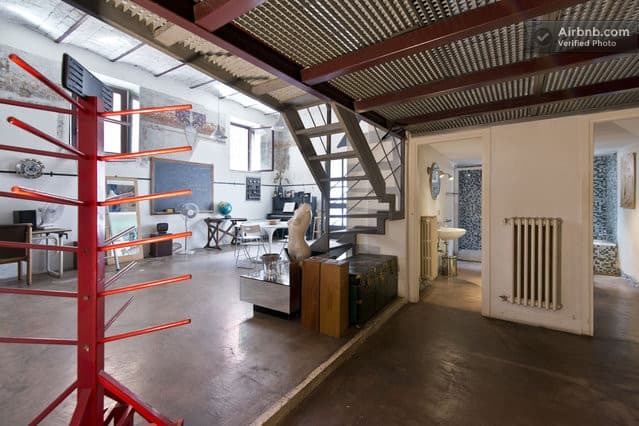 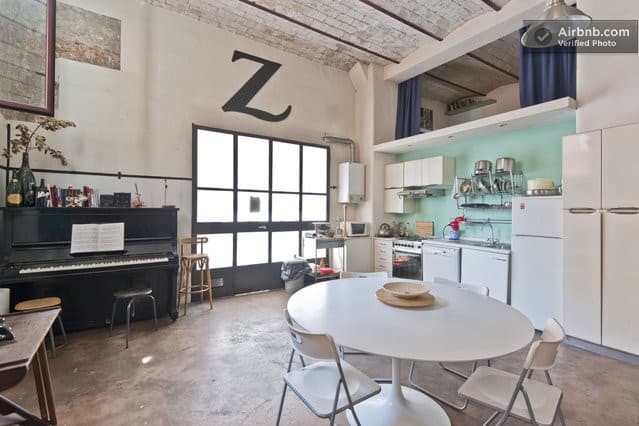 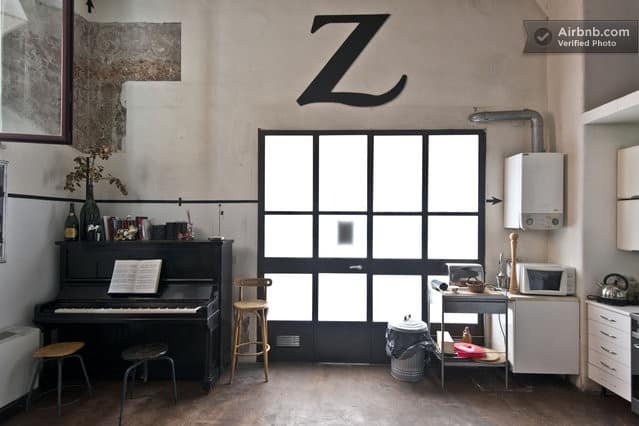 Interior Design: a vintage loft in Roma, Italy 4.1666666666667 out of 5 based on 6 ratings. 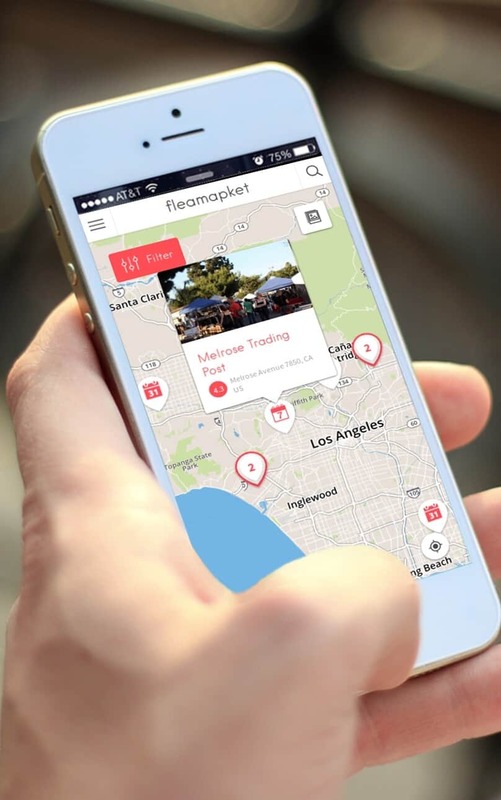 6 user reviews. 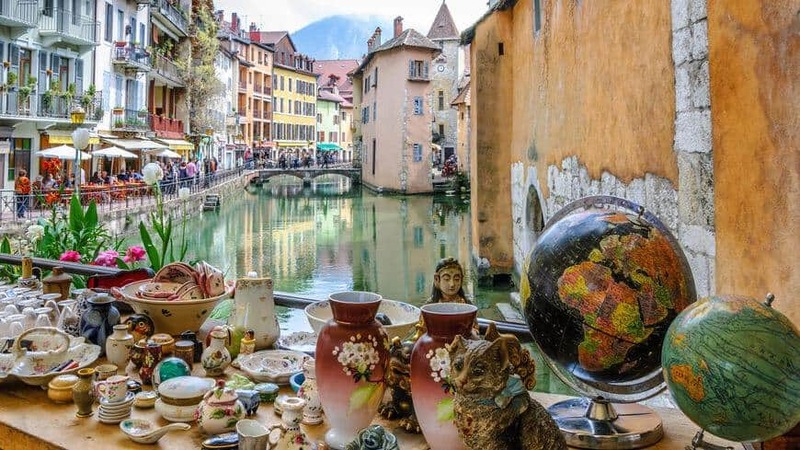 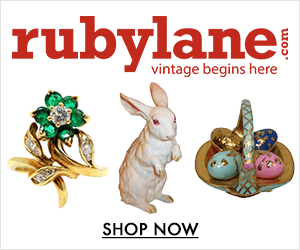 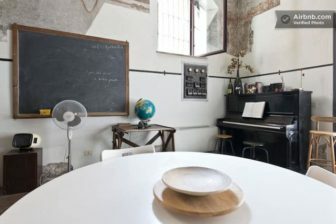 With a passion for interior design and handmade, the owner of this Roman apartment has filled it with low furniture, vintage home decor, industrial design items and various flea market finds. 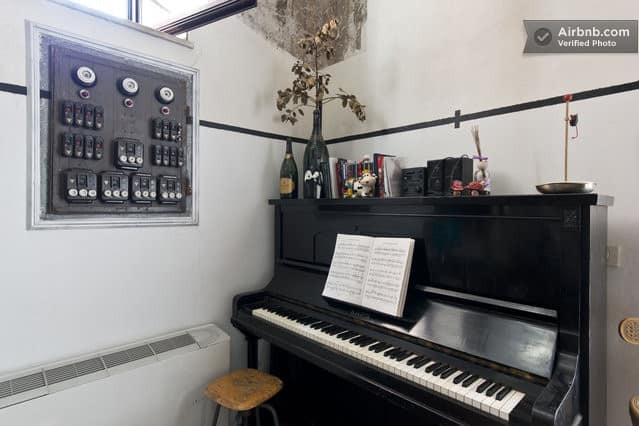 Take a tour of his creative space we found on airbnb. 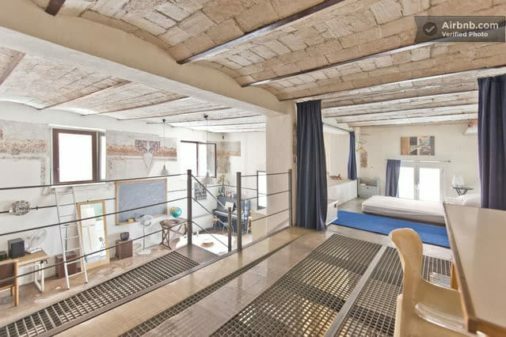 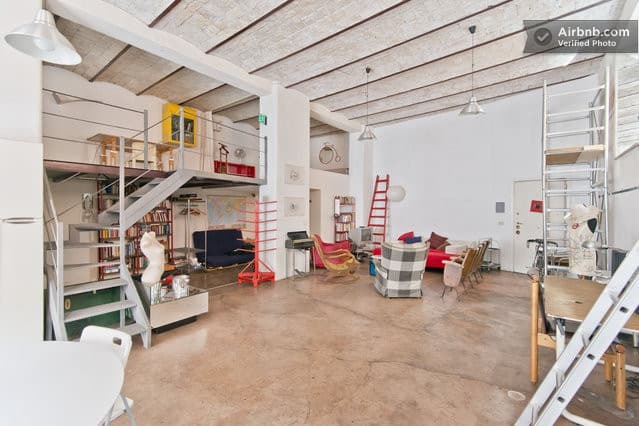 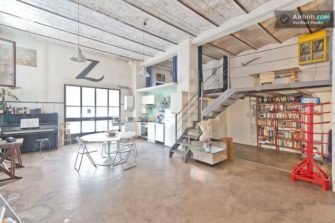 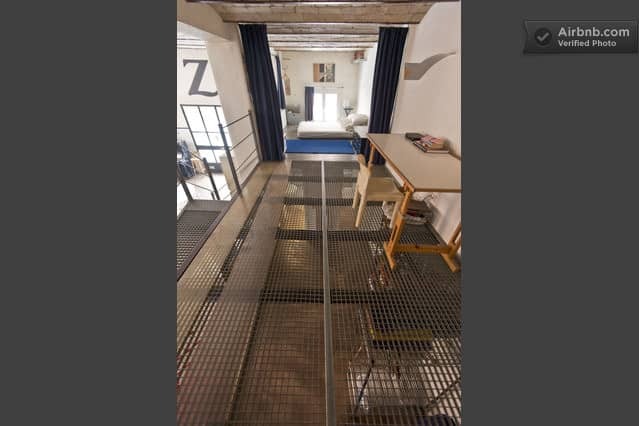 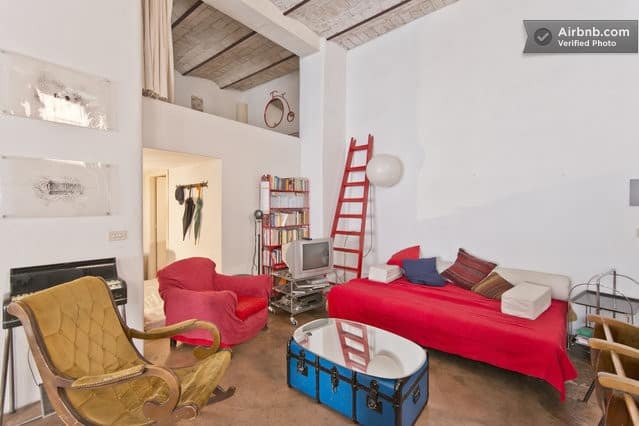 Located in a pedestrian area next to the heart of Rome, this Loft stands in a small square, just out of the tourist circuit. 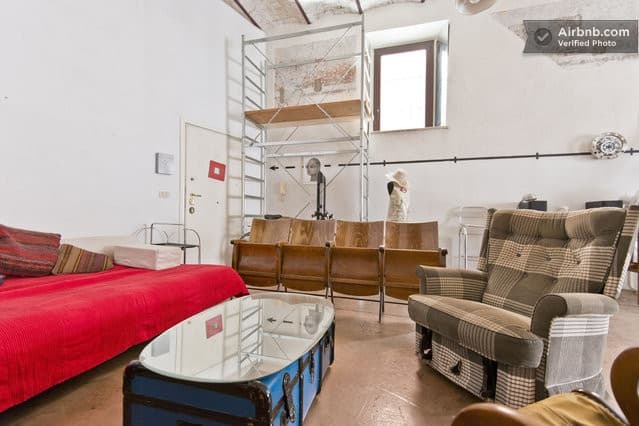 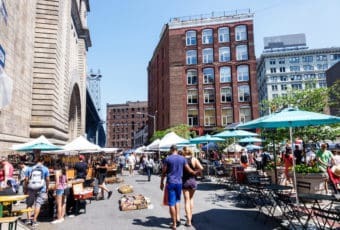 It is plunged into a neighborhood of 2-3 floor houses (il Pigneto), with an old/time morning street market and plenty of bars and cafes, at only twenty-five minutes on foot to the Colosseum. 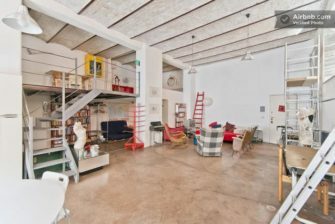 The area is extremely popular with Romans, and is often described as the “hippest neighborhood in Rome” (which somehow explains how the owner of this loft found the adequate vintage furniture with the right industrial design touch, probably at some of Rome’s most popular flea markets and antiques shops!). 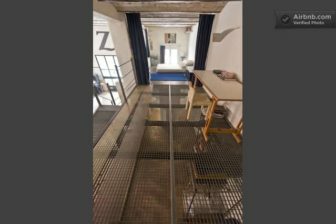 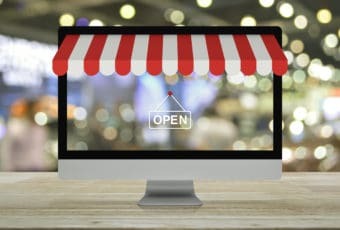 The 100 sq.m. + 30 of duplex Loft, was built in the end of 1800 as a theatre, and the barrel vault ceilings are more than 4 meters high, while the huge windows supply enough daylight all along the day-time. 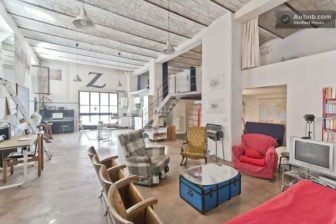 Both double rooms on the mezzanine are nicely scattered around the very large, comfortable and enjoyable living area furnished with some unique pieces of furniture such as this row of theater benches… Interior design and vintage at its best.